The 2012 United States presidential election in Utah took place on November 6, 2012, as part of the 2012 General Election in which all 50 states plus The District of Columbia participated. Utah voters chose six electors to represent them in the Electoral College via a popular vote pitting incumbent Democratic President Barack Obama and his running mate, Vice President Joe Biden, against Republican challenger and former Massachusetts Governor Mitt Romney and his running mate, Congressman Paul Ryan. Prior to the election, all 17 news organizations considered this a state Romney would win, or otherwise considered as a safe red state. Utah is among the most heavily Republican states, voting for the Republican ticket in every presidential election since 1968, and is also the only state to have a majority Mormon population, benefiting Romney, the first Mormon to head a major party presidential ticket. He carried every county in the state, all by large margins. However, Obama won reelection nationwide. With 72.62% of the popular vote, Utah would prove to be Romney's strongest state in the 2012 election,  and Romney would go on to be elected as a United States Senator from Utah six years later in 2018. 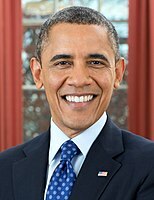 Due to Obama running for reelection without serious opposition for the Democratic Party in 2012, no Democratic Primary was held in Utah. The Republican primary took place on 26 June 2012. 37 delegates were chosen, for a total of 40 delegates to go to the national convention, all pledged to the primary winner. Romney won all four congressional districts. ^ "2012 Presidential Election Statistics". Dave Leip's Atlas of U.S. Presidential Elections. Retrieved 2018-03-05. ^ "Primary and Caucus Printable Calendar". CNN. Retrieved January 12, 2012. ^ "WSJ Poll tracker, 17-poll average". Wall Street Journal. April 10, 2012. ^ "Poll: Utah voters believe Romney's Mormon faith hurting him less this time". Deseret News. April 3, 2012. 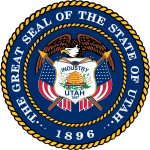 ^ "Utah Secretary of State". Archived from the original on 2012-03-02. Retrieved 2012-11-28. ^ "NPR and NewsHour 2008 Election Results". Archived from the original on February 18, 2012. Retrieved 2008-11-30.